A sensitive, WAAS enabled GPS receiver and antenna. 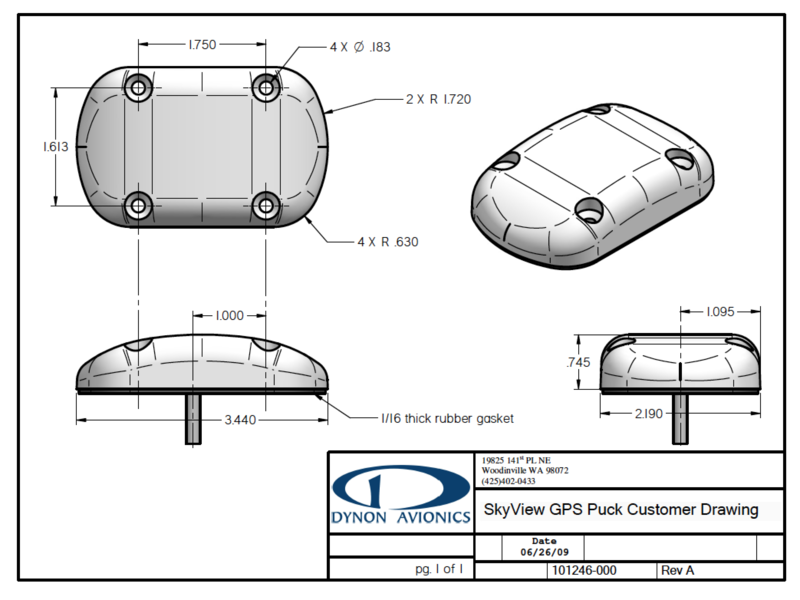 SkyView GPS Receiver: The SV-GPS-2020 is a sensitive, WAAS enabled GPS receiver and antenna. 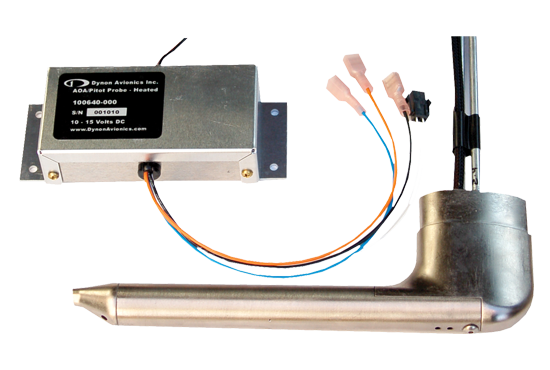 The advantage of having the receiver packaged in one unit with the antenna, is that the output is a standard NMEA serial connection. A shielded antenna cable, with its inherent attenuation of signal and greater difficulty of routing, is not required to connect to the SkyView Display. GPS Data: GPS latitude/longitude data is necessary for the SkyView to locate its position to display Synthetic Vision and the Moving Map. It is also necessary during calibration of the Remote Compass/Magnetometer, in order for SkyView to determine current location and the correct magnetic inclination. Redundancy: An SV-GPS-250 is not necessary but highly recommended for the SkyView System. As a backup, NMEA standard GPS input can be utilized from a third party GPS receiver, but most GPS units output updates at 1/second, not 5/second like the SV-GPS-250 does. Another major advantage of the SV-GPS-250 is that it derives its power from a SkyView Display Backup Battery. So in the event of loss of ship's power the GPS will continue to be powered. Another advantage is the SV-GPS-250 is designed to be used with SkyView, and no setup is required. Choosing the right GPS: US customers that are planning to equip their aircraft for compliance with the FAA's 2020 ADS-B Out mandate should install an SV-GPS-2020 as their primary GPS. 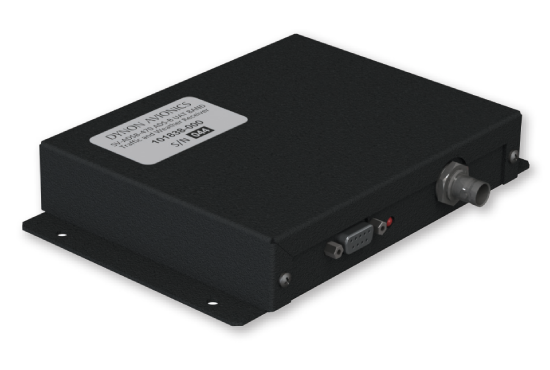 US customers that use an SV-GPS-2020 can utilize a second SV-GPS-250 as a position source backup. At this time, Dynon does not make any claims about the SV-GPS-2020's applicability or useabillity outside of the US to satisfy ADS-B Out or other requirements. Therefore, non-US customers will generally equip with the SV-GPS-250. Connections: Each SV-GPS-250 contains: Four leads to attach to the SkyView Main Harness, including RX, TX, 8V, and Ground. What else do I need for a 2020 compliant system that utilizes the SV-GPS-2020? You'll need a SkyView system equipped with an SV-XPNDR-261 Mode-S Transponder, an SV-GPS-2020, and SkyView System Software 14.0 or later. For 2020 compliance, ADS-B In capability is not required, so the SV-ADSB-470 traffic and weather receiver is not required for a compliant installation. You will probably want it to receive traffic and weather on your EFIS, though. How much does it cost to make my SkyView system 2020 compliant for ADS-B Out? If you already have a SkyView with an SV-XPNDR-261, just add an SV-GPS-2020 position source for $590. Unlike other systems, there are no additional installation kits, separate antennas, or coax cables to run. If you're buying a new system, it's even less expensive since you don't need to buy an SV-GPS-250 if you're installing an SV-GPS-2020. How does the SV-GPS-2020 connect? The SV-GPS-2020 connects using four wires (two serial, power, and ground). The receiver electronics and antenna are integrated into the main device, which is about the size of a deck of cards and mounts externally to your aircraft. I already have a SkyView system. Do I have to tear apart my aircraft? No: It couldn't be easier to retrofit. If you are already using the SV-GPS-250 as your position source, it's truly a drop-in plug-and-play replacement. The SV-GPS-2020 uses the same four wires and has the same mounting pattern. If you have an unused serial port on your system, you can opt to add the SV-GPS-2020 without removing your existing SV-GPS-250. This gains you a second GPS position source for redundancy/backup. What is the difference between the SV-GPS-250 and the SV-GPS-2020? Both are WAAS GPS receivers that update position at 4-5Hz. The SV-GPS-250's design utilizes high volume commercial GPS components that yield a lower price point ($200). However, this design does not have the documented design data and integrity checking necessary to prove it meets the FAA's 2020 performance requirements. The SV-GPS-2020 has the design data demonstrating that it meets the FAR performance requirements, but because of the additional design assurance, it costs a bit more ($590). Why didn't you certify the SV-GPS-250? High volume commercial vendors will not release enough design documentation to analyze the performance of the devices at a low level, and the designs also lack the integrity verification that is required to meet the FAR requirements. As great as the SV-GPS-250 is, it was not possible for us to demonstrate compliance with this device. Do I need an SV-GPS-250 in addition to the SV-GPS-2020? No. The SV-GPS-2020 can be both SkyView's position source for moving map, navigation, and synthetic vision as well as for the 2020 compliant ADS-B position source. However, you can opt to use an SV-GPS-250 as a redundant GPS position source. Can I install more than one SV-GPS-2020 for redundancy? Yes. You can add a second SV-GPS-2020 for redundancy of both your SkyView's main position source and the 2020 compliant ADS-B Out position source. Or, you can use an SV-GPS-250 as a second GPS. In this case, your EFIS will have two GPS sources available for navigation, but your ADS-B Out will be disabled if the SV-GPS-2020 fails. Does the SV-GPS-2020 turn my EFIS into IFR-capable navigator? No. Although the SV-GPS-2020 is a WAAS GPS and is meets the performance requirements of 91.225 to be a 2020-compliant ADS-B position source, that fact alone does not make it suitable for IFR use. IFR-authorized GPS navigators are subject to additional performance requirements that cover the display, software, navigational databases, and more. Are there any restrictions or caveats in the installation or use of the SV-GPS-2020 as my 2020-compliant GPS position source? The SV-GPS-2020 is limited to ground speeds of 400 knots and below. To meet the integrity level required for an ADS-B position source, the SV-GPS-2020 needs a stronger GPS signal than the SV-GPS-250. In order to not reduce the signal, the SV-GPS-2020 module must not be painted. Additionally, the SV-GPS-2020 may not work acceptably unless mounted on the outside of the aircraft. If the SkyView indicates excessive loss of ADS-B position, you may need to re-locate the SV-GPS-2020. Doesn't a 2020 compliant GPS position source needed to be certified (TSO or STC)? No. The ADS-B equipment in the aircraft must meet the performance requirements of FAR section 91.225.This specifies that ADS-B out equipment must meet specific performance criteria but does not require TSO authorization. In Dynon's case, the SV-XPNDR-261 is TSO'd. The SV-GPS-2020 is not TSO'd, but Dynon Avionics has performed the necessary engineering to ensure the equipment complies with all performance requirements of 91.225. An aircraft equipped with the SV-GPS-2020 as well as the SV-XPNDR-261 is therefore able to reach a Source Integrity Level (SIL) of 3 and System Design Assurance (SDA) of 2, as well as the other performance metrics required to be compliant with 91.225. Per the FAA's guidance, Dynon will provide a statement of compliance to our customers. I own an S-LSA aircraft. Can I retrofit my SkyView system with the SV-GPS-2020? Yes, but you will need authorization from your S-LSA manufacturer to make any changes to your aircraft. Are there any more detailed technical specifications available for the SV-GPS-2020? You can find a downloadable PDF brochure for the SV-GPS-2020 here. Can the SV-GPS-2020 be used with non Dynon transponders / ADS-B Out devices? 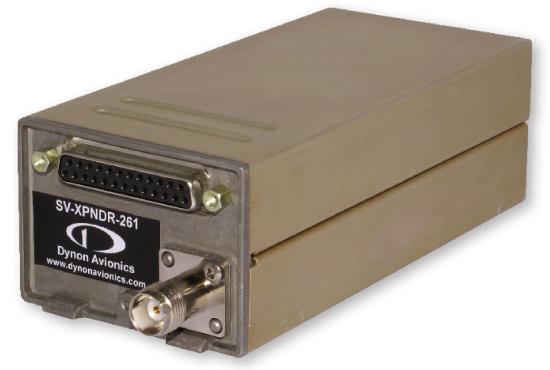 No other ADS-B Out devices are known to currently support the SV-GPS-2020's format. 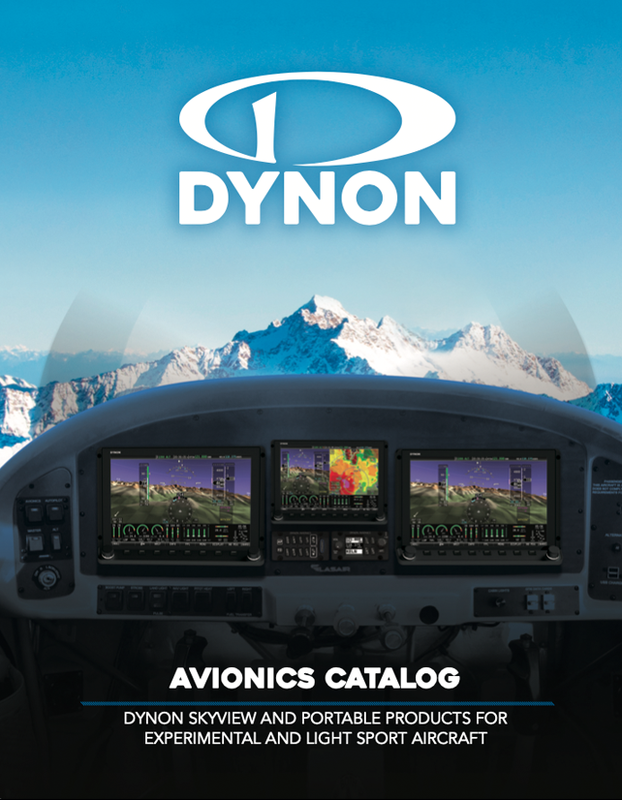 Dynon Avionics currently only supports SkyView and AF-5000 installations. 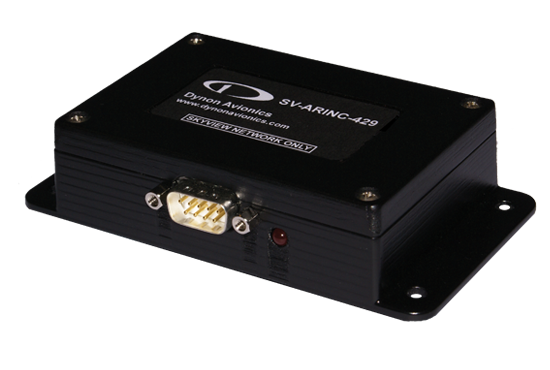 The SV-GPS-2020 transmits RS-232 NMEA output (115,200 baud) with additional integrity information. Can I use the SV-GPS-2020 in certified aircraft? When will the SV-GPS-2020 be available? The SV-GPS-2020 is expected to be available early 2016. I live outside of the US. Is the SV-GPS-2020 usable as an approved ADS-B position source in my country? Other countries have different requirements for ADS-B installations. We plan to work with the ADS-B regulators in various regions to evaluate where the SV-GPS-2020 will be acceptable, but at this time, Dynon Avionics does not make suitability or compliance claims outside of the US. In your installation manuals, certified GPS receivers must be connected directly to the SV-XPNDR-261. Are you sure it's OK to have the SV-ADSB-2020 connected to the SkyView display, not directly to the transponder? Yes. We have analyzed the SkyView system as a whole, and even with the data going through the EFIS display, the required level of integrity is maintained.This has only been verified for the SV-GPS-2020, so for other GPS devices, a direct connection to the transponder is still required. I want to keep my SV-GPS-250, and install the SV-GPS-2020, but I'm out of available serial ports on my SkyView display. Is there any way to connect both the SV-GPS-250 and the SV-GPS-2020 to the same serial port? Unfortunately, no. The SV-GPS-2020 must have a dedicated serial port. When I installed the SV-GPS-250, I had to connect it to both of my SkyView displays. Does the SV-GPS-2020 have to be connected to both displays also? Yes, the SV-GPS-2020 must be connected to all displays in your SkyView system. Does the SV-GPS-2020 have to be connected to Serial Port 5 like the SV-GPS-250? The serial port wires of the SV-GPS-250 or the SV-GPS-2020 can be connected and configured on any of the five serial ports on a SkyView display. We recommend using Serial Port 5 as it's easy to connect - the wire colors on the SV-GPS-250 and the SV-GPS-2020 are the same color code as the Serial Port 5 wire colors. When connecting the SV-GPS-250 or the SV-GPS-2020, they must be connected to the SAME serial port on each display.